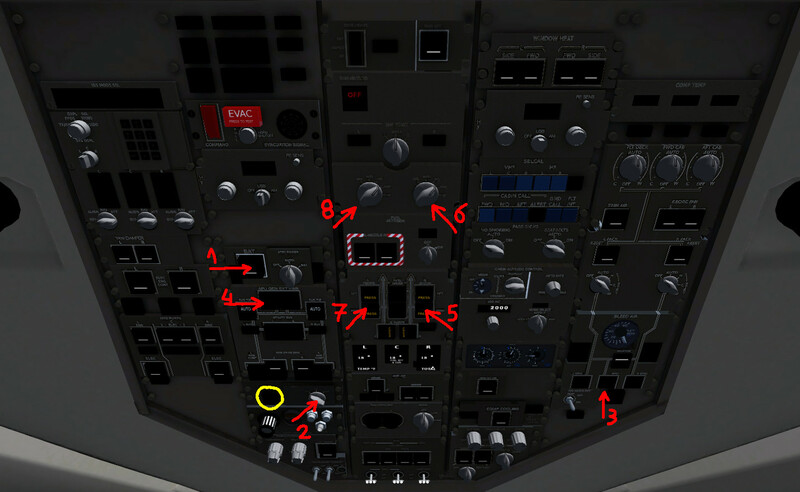 Does anyone know how to start the 767? It purports to have an "autostart" option but it does nothing at all. The "s" key does not work with this plane either. Using the overhead panel, I've only got as far as lighting the instruments but the engines won't start. I suspect that one of the xml files is broken. Could I copy the ones from 777 and overwrite similar files in the 767 directory? No that won't work. Each aircraft is very different. There is an autostart under the 767-300 menu. Use that. The problem I have is the "autostart" feature in the 767 does not work. It does not even turn on the instrument lights - in other words, it does precisely nothing. 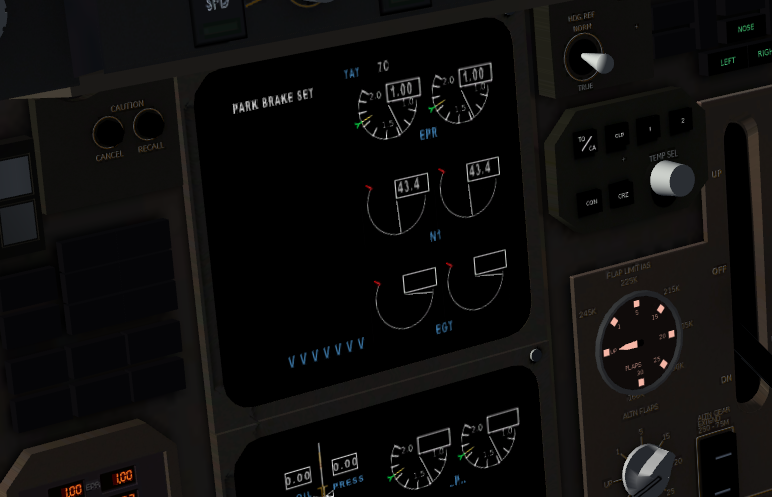 I tried the startup procedure from the 757, but I only got a far as lighting the instruments. The engines never came to life. I suspect the version posted in the aircraft repository is broken. Does anyone have another working version, please? Is this from FGMEMBERS or did you download the 767 in the launcher? What 767 exactly do you have? I downloaded all my aircraft directly from http://mirrors.ibiblio.org/flightgear/ftp/Aircraft/ . I have two variants of this planes: 767-300 and 767-300ER. To be clear, I haven't modified anything and "autostart" works for other planes, e.g. the 757, 777. etc. You should get the one from tikibar. It's most recently updated. Does this mean that the git version removed these items? Even this hack cannot get the engines to run. Which makes me suspect that the model is completely broken. Has anyone ever got the 767 to work? Or are there some other properties I need to hack? All that is metadata added to the fgaddon version. The aircraft itself in terms of systems, model, etc should be identical. Let me download the one you got and see if I can get it to work. kwanza wrote in Sun Oct 28, 2018 4:58 pm: Has anyone ever got the 767 to work? Yes! I have try it yesterday and without help/tutorial/autostart i have settled to run the engines and have flown a airport round. Got it! The problem was in my installation of additional liveries which surprising mess up the planes. For the 767, it was the AMX-skyteam livery that was the cause of the problem. The lesson learnt is to avoid liveries like the plague. Thanks everyone for the tips. Installing liveries shouldn't damage the systems...?